What If I Forgot to Include My Check With My Taxes? Send forgotten tax payments as soon as possible to avoid penalties. 3. What Happens If You Don't Pay Quarterly Tax Installments on Time? Forgetting to send anything to the Internal Revenue Service -- especially money -- can cause just about anyone to panic. However, the IRS does allow you to send your check separate from your tax return. You’ll include a payment voucher with your check so the IRS can process your payment accurately, and you won’t incur a penalty as long as you pay the tax by the date it’s due. Your personal income tax return is due April 15 on most years. You have until this date to pay your taxes without incurring penalties. If you request an extension, you have until Oct. 15 to file your return, but your payment is still due by April 15. In general, these rules apply to both your federal and state income taxes. If you pay your taxes after the April 15 due date, the IRS may charge a failure to pay penalty to your account. The penalty is ½ of 1 percent (.005) of your principal tax balance and is assessed each month, or fraction of a month, that your payment is late. This penalty is waived if you pay at least 90 percent of your tax on or before April 15, as long as you filed an extension and make the rest of your payment by Oct. 15. Download Form 1040-V from the IRS website and complete it before you send your payment. 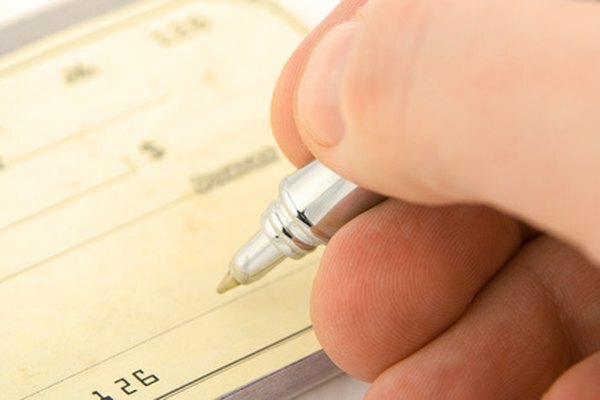 The information you provide on this payment voucher allows the IRS to post your check to your account correctly and prevents lost payments and processing delays. On the memo line of your check, write your Social Security number and the tax form and year the payment is for. This tells the IRS where to apply your payment. The address where you send your check and voucher may differ from the address where you sent your return, so use the mailing information in the 1040-V instructions to ensure your check arrives at the correct IRS processing center. Most states have their own voucher similar to the IRS version. If you need to send a state tax payment, visit the state’s Department of Revenue website and download the voucher from the individual tax section. Make a copy of the voucher and check before you mail them. Due to the time sensitivity of your payment, send your package by certified mail. This gives you a postmarked receipt and tracking number so you can prove delivery and mailing date, in case the IRS or state ever challenges the date your payment was sent. Keep these items with your tax records. How Much Tax to Withhold as an Independent Contractor?